EnVue Apartments offer one, two, and three bedroom apartments for rent in Bryan, TX, in a variety of floor plans that ensure you’ll find the right home for you and your needs. Our one bedroom options offer 640 square feet for you to make your own, while our two bedroom apartments boast up to 886 square feet. Our three bedroom layouts provide you with 1,000 square feet to spread out and live comfortably. No matter which floor plan you’ve got your eye on, you’ll have an array of in-home features to enjoy. Once you receive the key to your new home at EnVue Apartments, you’ll gain access to resort-style community amenities, including a swimming pool and state-of-the-art fitness center. The moment you step through your front door, bright, wood-style flooring welcomes you and leads you to your comfortable bedroom, the fully equipped kitchen, and your private patio or balcony. 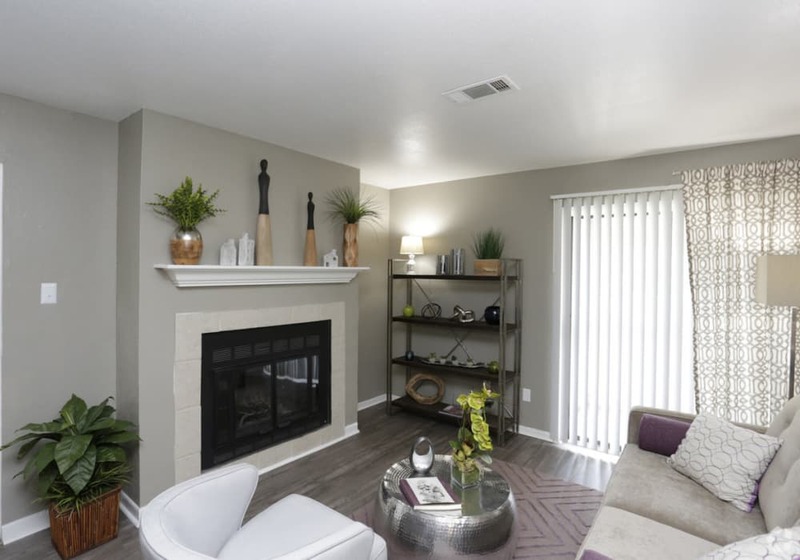 If you’re looking for extra sophistication and convenience, select units come with a cozy fireplace and in-home washer and dryer. EnVue Apartments is the ideal fit for your needs and lifestyle. That’s why we include cable and internet with your home, so you’ll always be connected. A unique way of living is waiting at EnVue Apartments. Get in touch with our team and schedule a tour of our community today.